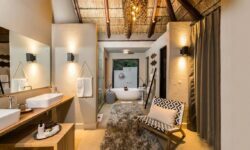 Nestling in the shade of indigenous riverine trees on the banks of the Msuthlu river lies Little Bush Camp, the newest addition to the Sabi Sabi Lodge Collection. 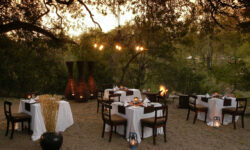 Little Bush Camp offers luxury accommodation for family, friends, or small groups. 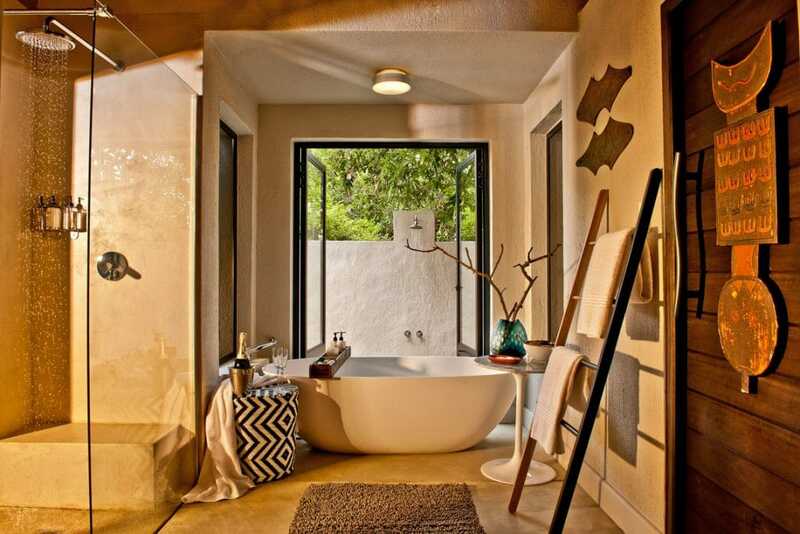 6 luxury suites each with a private viewing deck and heated spa bath overlooking the riverbed, are decorated in contemporary African design, complete with luxury furnishings, en-suite bathrooms, indoor and outdoor showers and air-conditioning. Thatched roofs, mosquito nets draped over the comfortable beds and beautiful wooden finishes complete the picture of an exclusive safari getaway. The Delicious dinners are eaten outdoors under lit trees. 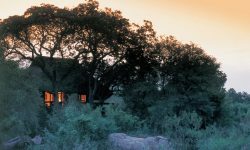 Sabi Sabi’s Little Bush Camp offers not only luxurious creature comforts, but a host of adventures as well such as game drives during the morning and evenings and viewing the BIG 5 and other amazing animals Sabi sands has to offer.